When searching for a unique St. Petersburg wedding venue, Ashlea and James were adamant in having the culture and liveliness of St. Petersburg. 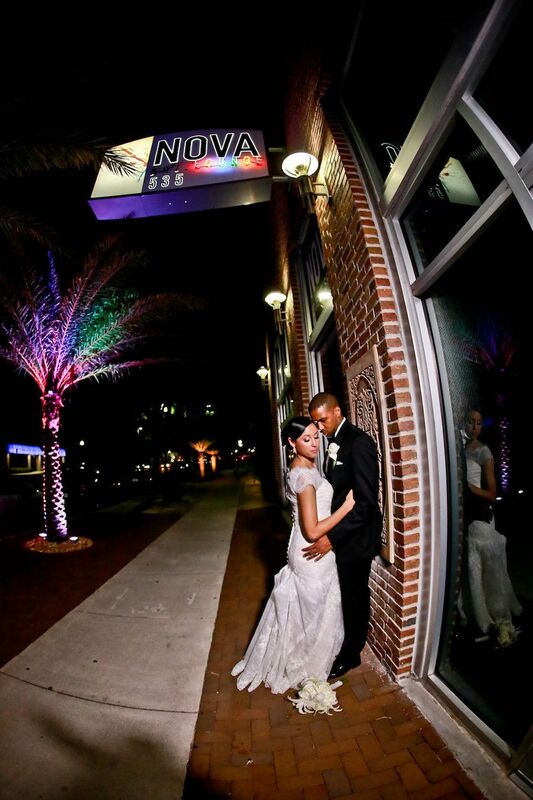 They soon realized that NOVA 535 would be the perfect location to host their nuptials and encompassed everything they could have dreamed of in a wedding venue. Their sophisticated and traditional wedding at NOVA 535 fit the couple’s style, and the atmosphere of the venue helped enhance the atmosphere of their big day. The Brandon couple opted for an outdoor, St. Pete wedding ceremony under a wedding altar draped in flowers and flowing fabric. Guests watched the couple say their nuptials in the beautiful Florida weather. Ashlea and James’ indoor reception was intimate and full of pink uplighting that enhanced the mood of the room. Tables were decorated with lighted trees with hanging crystals and candlelight accents that added to the romanticism of the decor. I was looking for something different, not your typical venue or your typical Florida wedding. I chose NOVA 535 because there aren’t a lot of venues like it in our area. I loved the NYC loft style building with exposed brick and wood beams. As far as service, I felt it could not have been better. Ruby, our coordinator, was truly amazing, and the staff was perfection. They were quick, efficient, friendly and professional. 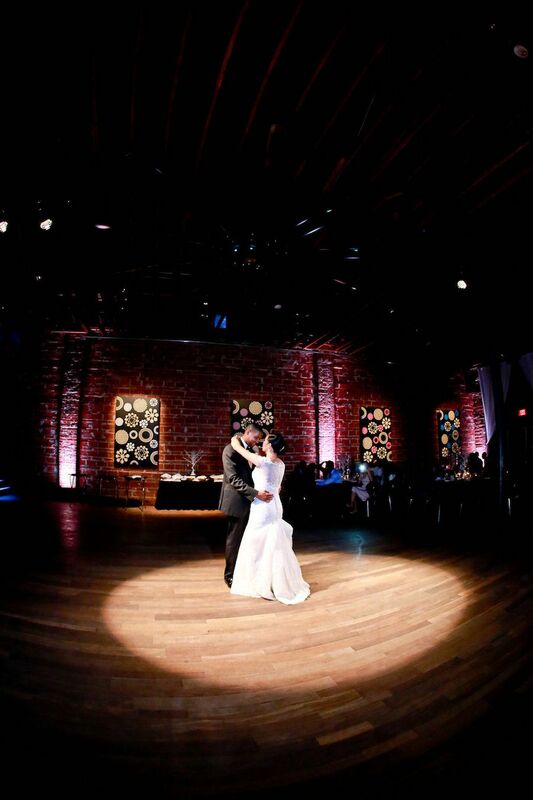 If you are looking for a unique, modernized historic venue here in downtown St. Petersburg, Florida to host a wedding, reception, mitzvah or corporate event, then look no further. After 1,000 successful events, perfected The NOVA Way, trust NOVA 535 with your memories today. GET STARTED online, call / text 949-873-6682 or email Sales@NOVA535.com. We LOVE delighting our clients and guests!